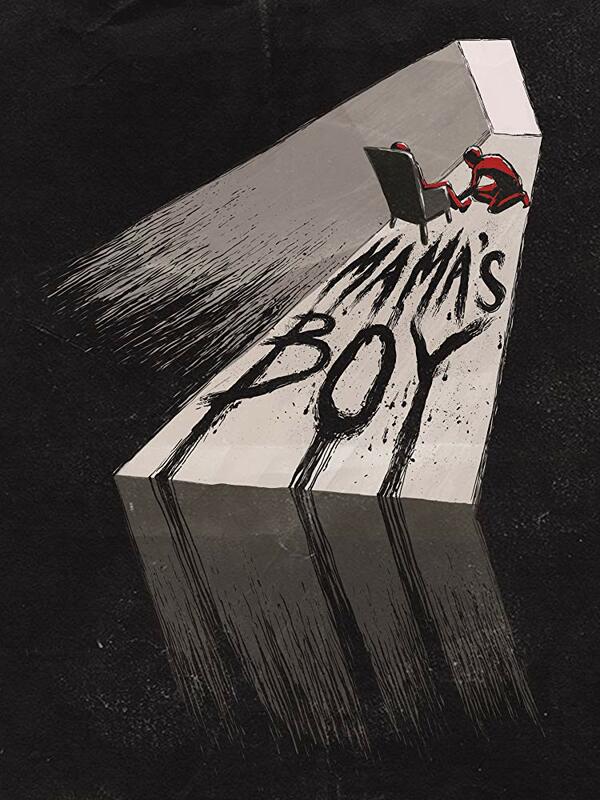 Mama's Boy is another horror I have been sitting on for a while due to an unavoidable situation. Over this month though through social media I have come to hear that it is both another good short from director/writer Samantha Kolesnik (Friendsgiving) and that it is quite bleak. Joshua (Malcolm Mills) is a man who has been rather negatively affected by the vast abuse of his mother Catherine (Kara Vedder) over the years, she treats him loveless and not much better than an animal, while instilling in him an almost godly respect and adoration for her. The eleven minute short takes place in two different time periods which both show how her abuse has shaped him into the lost soul he has become. There is an element of quality to Kolesnik's films that make them artful in the pacing. The camera work here often felt cold to me, the way it slightly sways makes you feel like a spectator simply observing the horror of this one person's existence, which of course fits the bleak tone perfectly. There are some nasty subjects covered here with unavoidable comparisons to Psycho appearing, though with Joshua like a younger and more realistic Norman Bates. Personal favourite scene was the last where Joshua has a one sided conversation that was near perfect thanks to the great soundtrack, and the haunted performance of Mills. I wouldn't say I enjoyed this as much as I appreciated it, the casting choice for the characters were picked well, like Thanksgiving there is a strong female presence here which seems to be a staple for the type of horror's the director creates. The editing of the scenes of the past and present were handled well with moments occuring later on that shed light on what has happened in present day. While not too much happens in a storyline type of way the performance of Mills is what made this for me, by the end of Mama's Boy it had built up to be quite captivating. For more information about this short check out the website for it here.